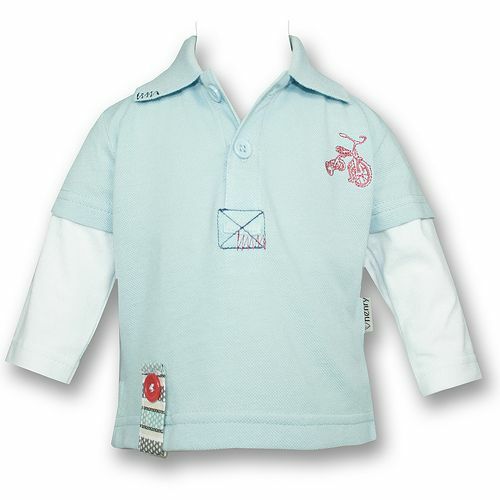 This Love Henry little blue three button t-shirt for little boys or funky little girls is delightful. It has contrast white long sleeves to make it look super trendy. It is stylish enough to be a little boys going out clothes. 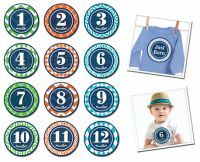 Comes in sizes 000 to 4 so you can match your baby boys clothes with your toddler boys clothes. It has a super cute bike / trike where the logo normally goes in big boys clothes and a funky button down the bottom in typical Love Henry gorgeousness. Match it with the Love Henry corduroy jeans for the perfect look.